Home https://server7.kproxy.com/servlet/redirect.srv/sruj/smyrwpoii/p2/ World https://server7.kproxy.com/servlet/redirect.srv/sruj/smyrwpoii/p2/ Brexit: A never-ending series of question marks? There is a very strange mood around the place in Westminster, ahead of what could be very messy and tricky day tomorrow. 9 ministers are ready to quit if they aren't allowed to have their say which could, of course hypothetically at least, collapse the government itself. The thinking being if you don't make it even harder to gather all the different factions for another meaningful vote – the thumbs up or thumbs down to the prime minister's deal that she wants to bring back to Parliament as soon as possible, maybe this Thursday. It seems right now there is disagreement in the political machine about just about every single issue, making government seem like a never-ending series of question marks. Ministers are even wondering that "one thing seems to be doing something", frustrated that Theresa May is keeping the circle around her tighter than ever before, and that's saying something. Expectation is building that the prime minister could announce a date here at a meeting with her MPs tomorrow – a final throw of the dice to try to get her deal over the line. 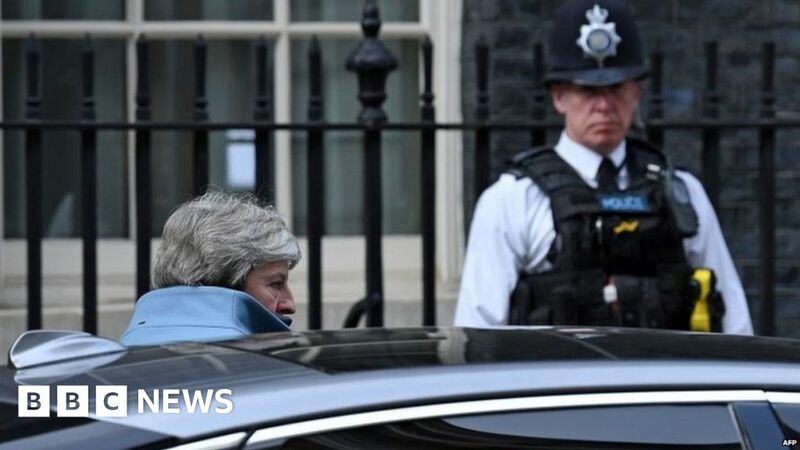 It is also possible that the prime minister will have a third go at getting her deal through the commons this week, maybe even grabbing and unlikely victory from the jaws of defeat. Just at a time when the country might want our politicians to act together, the different tribes in Westminster don't seem to be part of the same conversation. With the prime minister strangely seemingly separate from it all. This afternoon I asked one of her close to what she might do next – they replied "why don't you ask Oliver Letwin, he seems to have all the bright ideas". The next 72 hours could be the moment when suddenly a conclusion snaps together. But anyone who is able to do something about this together seems to be a number order indeed.